Product prices and availability are accurate as of 2019-04-15 04:14:38 BST and are subject to change. Any price and availability information displayed on http://www.amazon.co.uk/ at the time of purchase will apply to the purchase of this product. 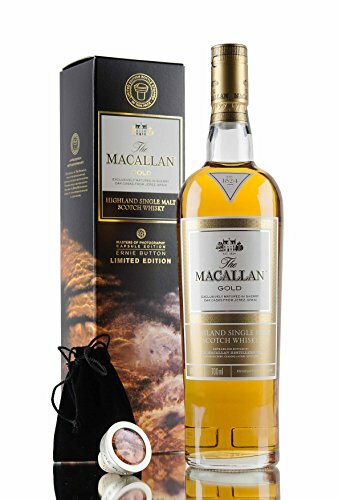 A limited edition Macallan Gold, from the Masters of Photography series - this bottling features work by Ernie Button, who has taken various extraordinary pictures of the dried remains of single malts. Box includes a premium branded cork made from natural solid oak.